Editor’s note: Tomio Geron is head of content at startup Exitround. This is part of a series of posts on the tech M&A market. 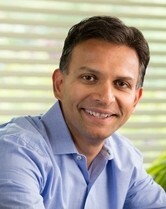 When Ursheet Parikh sold his company StorSimple in 2012 to Microsoft, it was one of the largest deals in the cloud infrastructure sector to date. But that wasn’t the only thing unusual about it. It was also a fairly large deal for which he played the banker and negotiated the deal. This is not unheard of, but it is an interesting example of how such a process can work in a startup acquisition. Before explaining why and how he handled the acquisition without a banker, it’s helpful to follow how the company developed. Founded in 2009, StorSimple combined the functions of multiple storage systems — primary storage, backup, archival and disaster recovery — into a single storage appliance that integrated with cloud storage services from companies such as Amazon, Rackspace, Microsoft Azure and Google. Parikh, formerly at Cisco, had previous startup experience and started the company with Guru Pangal, formerly of Brocade. The two were a good match to work on StorSimple because Parikh had a strong track record in WAN acceleration and Pangal had expertise in storage. One of the challenges of releasing the product too early is that it becomes hard to change product direction or focus. This can be a big problem if the startup gets a large customer early for what could be a niche business. “As soon as somebody buys the product and gives you a $50,000 or $100,000 check, they have so much leverage,” Parikh says. At one point, some enterprise customers wanted to use StorSimple as part of a cloud backup service, like Mozy or Carbonite. That could have moved the company in a very different direction. But Parikh believed that enterprise cloud backup wasn’t a good business. With more than 100 enterprise customers by mid-2012, StorSimple emerged as a leader in cloud-integrated storage and was used by mainstream enterprise customers in sectors like retail, oil and gas, manufacturing, services, consumer goods, healthcare, government and banking. StorSimple decided to raise a new venture round led by existing investors to expand sales, marketing and operations. Large cloud and storage companies in the ecosystem that were interested in taking the StorSimple product to market were invited to join this investment round. However, one of the companies initially approached by StorSimple for investment made an offer to buy the company before the investment round closed. At that point, Microsoft also made an offer to buy the company. StorSimple’s strategy had been to partner with big cloud providers and it was already in “co-opetition” with Amazon, which had recently launched a storage product that competed with StorSimple. At that point StorSimple had to decide whether to take on Microsoft as well. In the end, Microsoft has been happy with the deal, and Steve Ballmer has called StorSimple “one of my favorite acquisitions,” touting it as a cloud service for use with on-premise Windows or Linux servers. “[T]hat thing has really exploded for us and helps our customers to understand why to double down on us as a hybrid cloud vendor,” Ballmer said. Most buying companies check in regularly with the acquired teams to make sure things are running smoothly. In Microsoft’s case, the company said StorSimple deployments grew by 700 percent in the six months after the acquisition. It’s also become a “core part” of Windows Azure storage offering, according to Brad Anderson, Microsoft corporate vice president. That kind of alignment doesn’t always happen with acquisitions. But it was one of the key factors Parikh made sure of when he went through the deal process — that he could work with the Microsoft team and that they would work for the same goals.